Chateez competition is open only to legal residents of Great Britain who are at least eighteen (18) years old at the time of entry. The Competition is subject to English law and is void where prohibited. Participation constitutes entrant’s full and unconditional agreement to these Official Rules and the Sponsor’s decisions, which are final and binding in all matters related to the Competition and no correspondence or discussion shall be entered into. The Sponsor reserves the right not to award a prize (and/ or to select an alternative winner) if the Sponsor is aware or has reasonable grounds to believe that a winner is not eligible for any reason. Winning a prize is contingent upon fulfilling all requirements set forth herein. Silver Lined Horizons Ltd. 125 Phyllis Ave, New Malden, KT3 6LB. Chateez is a registered Trademark of Silver Lined Horizons. The Sponsor is a company registered in England under company number 08229102. (“Competition Period”). The winner will be selected randomly from the entries submitted between 09:00 a.m. (Greenwich Mean Time) Friday 6th October 2017 and 11:59 p.m Saturday 14th October. (Greenwich Mean Time). The Competition will be closed at the end of the Competition Period. The winner will be notified on Monday 16th October 2017 and will need to respond with postal address by Monday 16th October 2017. 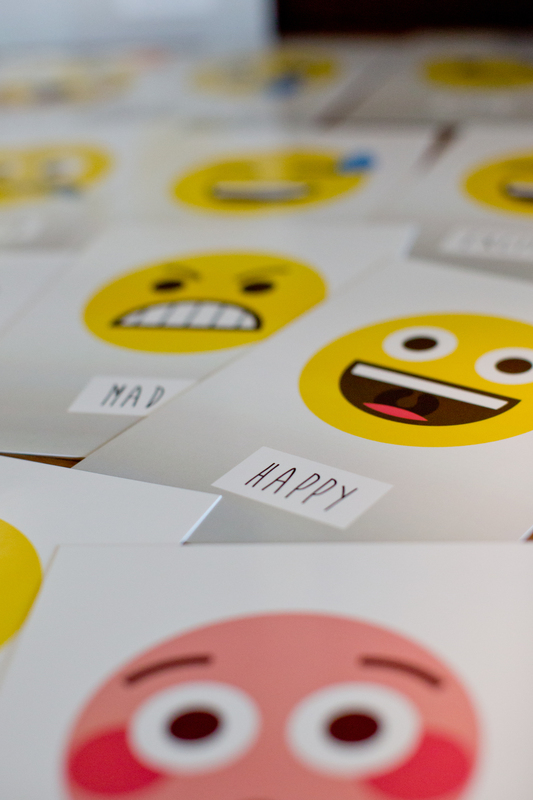 Entries can be submitted by telling us the emoji that expresses how you are feeling right. Share your entry on Instagram, Facebook or Twitter by Saturday 14th October 2017. We are giving away five Chateez packs and names will be drawn at random. Sponsor is not responsible for lost, late, incomplete, invalid, unintelligible or misdirected registrations, which will be disqualified. In the event of a dispute as to any registration or play, the authorized account holder of the email address used to register will be deemed to be the entrant. All entries must be in English and complete with the entrant’s name and contact details. Five Chateez Cards packs will be awarded to winners picked at random entries across both Facebook , Twitter and Instagram. 1x Chateez Card Pack per winner. The Sponsor’s operation of the Competition and the selection of potential winners are final and binding in all matters related to the Competition. Sponsor will randomly select the potential winner from all eligible entries on Monday 16th October 2017. (1) week of the date notice or attempted notice is sent, in order to claim his/her prize. If a potential winner of the prize cannot be contacted, or fails to respond with prize selections within 1 week of notification, potential winner forfeits the prize. In the event that a potential winner is disqualified for any reason, Sponsor may award the applicable prize to an alternate winner by random drawing from among all remaining eligible entries. agencies and its parent company and each such company’s officers, directors, employees and agents (collectively, the “Released Parties”) from and against any claim or cause of action, including, but not limited to, damage to or loss of property, arising out of participation in the Competition or receipt or use or misuse of any prize. Please also see clause 13 11 below. Except where prohibited, participation in the Competition constitutes winner’s consent to Sponsor’s and its agents’ use of winner’s name, likeness, photograph, voice, opinions and/or home town and county for promotional purposes in any media, worldwide, without further payment or consideration. The Sponsor may publish the winner’s details and the winning entries on its Facebook page at https://www.facebook.com/Chateez/ or via other social media such as Twitter, Instagram or a blog post. Any data provided is provided to Sponsor and not to Facebook or Twitter. to send separate notification of any change to the offer or prize draw to each person who has and/or may enter the competition. It shall be sufficient that details shall be available on the Sponsor’s Facebook page at www.facebook.com/uk.bissell. The Released Parties are not responsible for: (1) any incorrect or inaccurate information, whether caused by entrants, printing errors or by any of the equipment or programming associated with or utilized in the Competition; (2) technical failures of any kind, including, but not limited to malfunctions, interruptions, transmission failure or disconnections in phone lines or network hardware or software; (3) unauthorized human intervention in any part of the entry process or the Competition; (4) technical or human error which may occur in the administration of the Competition or the processing of entries. If the Competition, or any part of it, is discontinued for any reason, Sponsor, in its sole discretion, may elect to hold a random drawing from among all eligible entries received up to the date of discontinuance for any or all of the prizes. No more than the stated number of prizes will be awarded. This Competition is in no way sponsored, endorsed or administered by, or associated with, Facebook or Twitter. Entrants are providing information to Sponsor and not to Facebook or Twitter. By entering, entrants are fully releasing Facebook and Twitter from all claims that may be asserted against Facebook or Twitter in connection with this Competition. The information that entrants provide will only be used for the purposes disclosed in the above Official Rules.